On this day in history, March 2, 1889, President Grover Cleveland signed one of numerous “Indian Appropriations Acts.” That sounds like a good thing for American Indians, where the federal government appropriates money to live up to the terms of its various treaties. 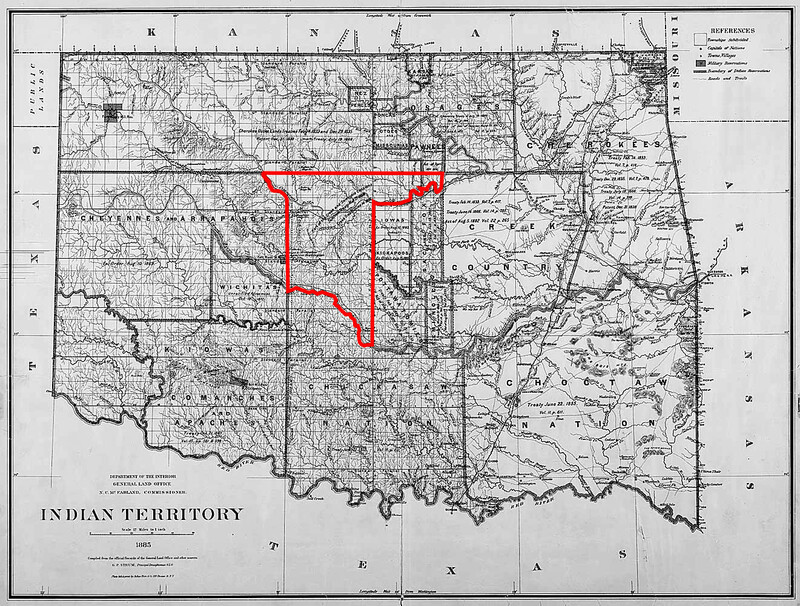 In this case, the bill opened up nearly 3,000 square miles of Unassigned Land in Indian Territory for white settlement. The Unassigned Lands in 1885. 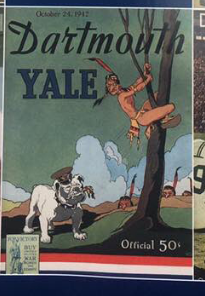 So what is the connection between this event in history and mascots? The name for the Oklahoma University mascot — the “Sooners” — comes from those settlers who went into the “Unassigned Lands” sooner than was legal — before the land was officially opened for settlement. They got in first and staked out the best land. There is a complicated history here. It includes the Creek Indians getting caught up in the wash of the U.S. Civil War. The Creek were not unanimous in their support of either side of the conflict, but one Creek Council did sign a treaty with the Confederacy. According to Wikipedia, when the Confederacy lost, the United States forced the Creeks into a new treaty in 1866. Under its terms, the Creeks agreed to cede a portion of the lands they held in Indian Territory. The Seminoles, who actively supported the Confederacy, were forced into a similar treaty that ceded all of their lands in Indian Territory. Together, this ceded territory became the “Unassigned Lands.” The Creek treaty stated the United States planned to use the land to relocate other Indians and freed slaves. In the following years, white settlers pressured the government to open the land for settlement.